ToysRUs is having a sale on the 2.5 foor behemoth for $189.99 with an additional $10 off with a power pass, bringing it down to $179.99. That's a whopping $70 off, and if you don't have all the money up front, their layaway program currently is free with no fees. 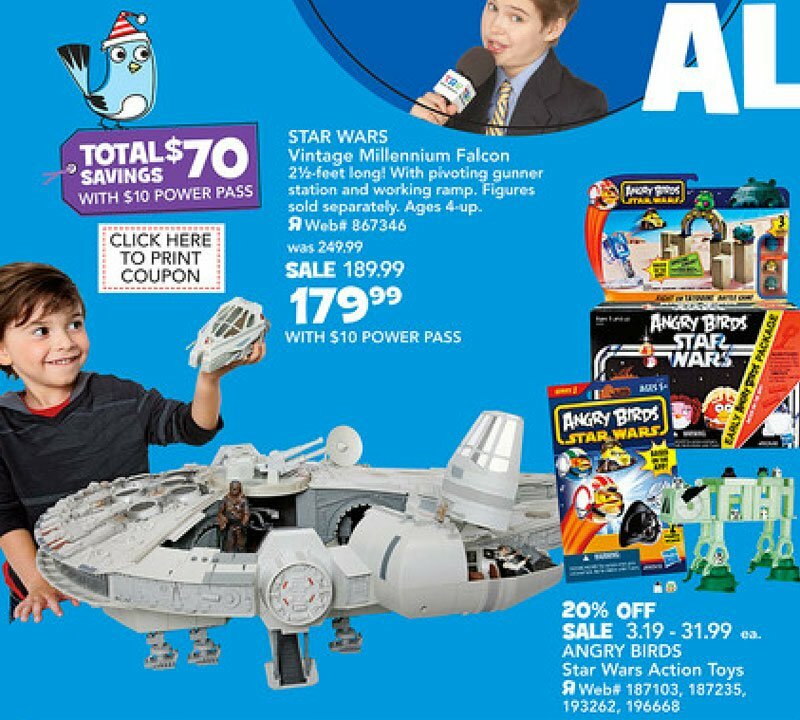 There's also a 1 Day Sale for today only for Buy 1 Get 1 50% off on all Star Wars action figures, vehicles, playsets, and role play that doesn't look like you can apply on the Falcon, but could be used towards the MTT, which is now priced "lower" for $139.99. Other additional deals at TRU include 50% off Titanium, now down to $7.99, and 50% off their Pod Racer multipack, now on sale for $12.49. All Star Wars Angry Birds are also on sale for 20% off. 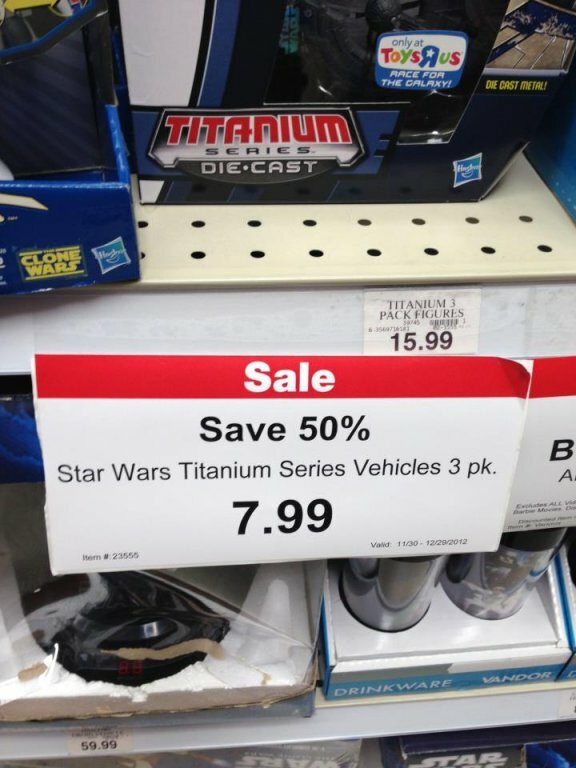 Target is also having a sale on Star Wars this week. The online exclusive 104th Battallion Wolf Pack is now $26.99 and the Darth Maul Returns Battle Pack $16.99. Visit Target.com for a whole bunch of online only deals like Movie Heroes and Clone Wars figures on sale for $6.87. Finally, it looks like the Vintage Collection Red Bandana Kithaba running change variant is beginning to re-ship, being spotted at Walmart and ToysRus the past week. Reader John C. reports finding one at his ToysRUs in Evansville, Illinois. Of particular interest is the paint around his figure's eyes appearing more fleshy and giving it a more mask-like look, which is kind've how the character looked like in the film. Happy Holiday Hunting! Please keep sending in those reports and don't forget to also post them in our new forums! Don't forget to register for the chance to win a Mandalorian Transport! Giveaway ends December 7th!